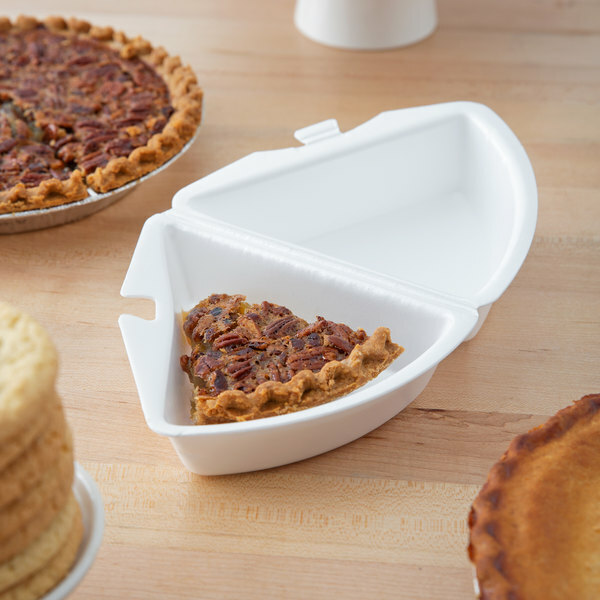 Store delicious slices of pie or cake in this Genpak 21800 pie wedge container! 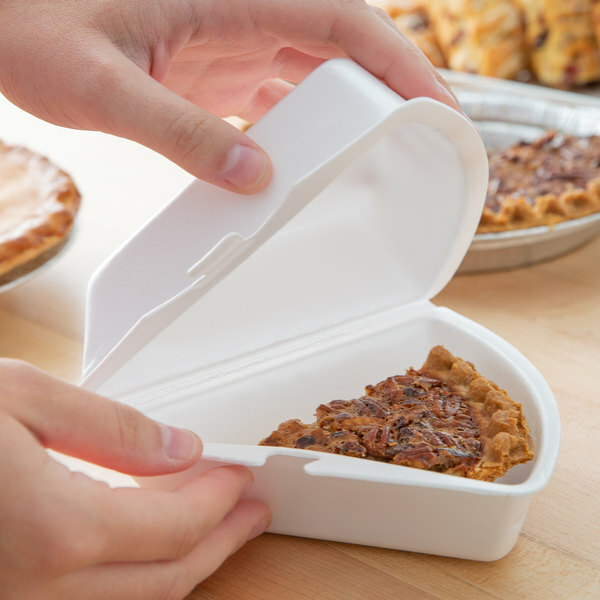 Whether you want to box up freshly baked pumpkin pie or chocolate cake for sale in your grocery store, or want to provide this container for guests at your restaurant to pack up left over desserts, this container is a great choice. The hinged lid easily swings closed to cover your delectable desserts and protect them from contaminants. The hinged design also helps prevent spills or leaks during transportation, which customers are sure to appreciate. 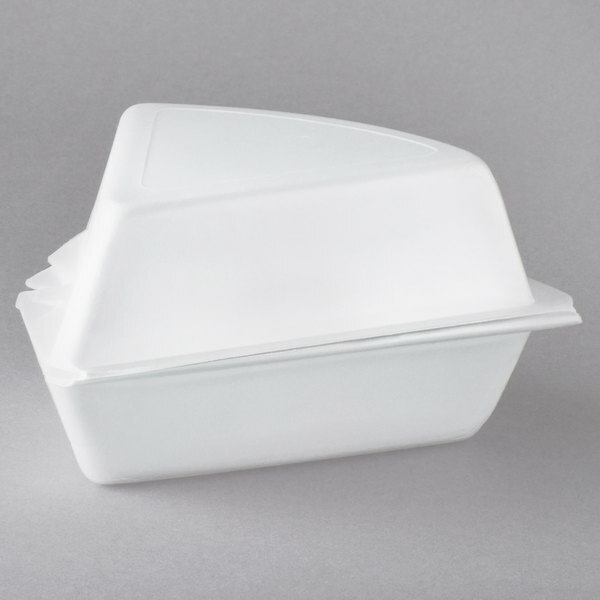 Stack and store this clamshell container with other containers for compact storage in your fast-paced business. 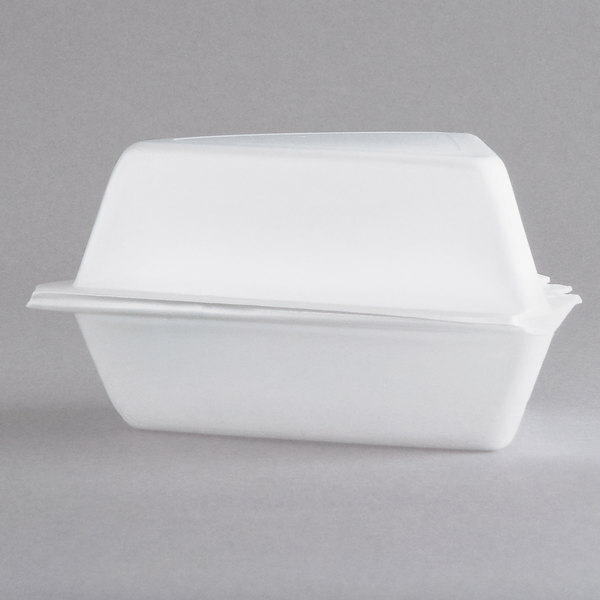 Whether the dessert is hot or cold, the container is insulated to maintain food's proper serving temperature, ensuring customer satisfaction as well as food safety. The foam construction is also CFC free, meaning that it was not produced with Chlorofluorocarbon chemicals that could harm the ozone layer. 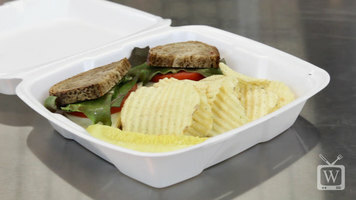 Add this convenient and useful wedge container to your bakery, restaurant, or cafe! Nicely constructed Foam Pie Wedge Container. Easy to use and provides a very good seal to keep pie fresh for limited time. The price on these are outstanding compared to other wholesalers.